I’m one of the new breed of young artists to join Manila Genesis Entertainment & Management Inc. I’ve recently released my debut, self-penned single titled “Beautiful” which was arranged by Jay Durias of South Border. The single’s music video is directed by Joaquin Valdes and is currently enjoying massive airplay on Myx as well as on Manila’s hottest radio stations. As early as the age of four, I knew what it was like to be without hair. Diagnosed with alopecia areata, a condition that causes patches of hair loss around the body, I have lived through the entire process of experiencing hair fall: losing it little by little, and then deciding to shave it all completely last year. I even tried other hair loss remedies as I lived in the US for several years, including chemical-based products that have resulted in negative side effects. One day, I’ve decided there was no more hiding. In September 2012, I took a stand and embraced my baldness. Together with my good friend Jing Monis, I’ve shaved my head and began with an Alopecia Areata Awareness Month Instagram campaign in which I’ve invited friends and family to pose with a double “A” sign using their fingers. The campaign grew to success and to date has over a thousand photos. On September 25 of the same year, I did a coming out concert where I performed bald in public for the very first time. Last year I was highlighted as one of the top 41 best vocalists on The Voice Of The Philippines as one of its chosen contestants out of thousands of aspirants. Also a finalist of the Dove Real Beauty Campaign and one of Meg magazine’s 30 Young Achievers, I’ve made it one of my life goals to be a voice for those with alopecia areata. I am honored to be chosen as brand ambassador to Novuhair. This new platform will help me to continue my advocacy to share my music and life story. Since using Novuhair, I’ve experienced remarkable results. Visible signs of hair growth appeared within five months of use – and this is after years of baldness caused by alopecia areata. The strands of my hair are thicker and more healthy-looking. My scalp is clearly nourished and invigorated. When it comes to hair growth, nature is on my side with Novuhair. hi i am planning to buy Novuhair coz at the age of 21 i have excessive hair fall and last year ive noticed that my hair line became higher…but i don’t have enough budget to buy the packaging of Novuhair if i may ask how much the just topical lotion, and how much also the single order of Novuhair shampoo? consistent use of Novuhair twice a day, in 4-6 weeks the results showed the non-progression of hairloss, prevention of excessive hair shedding and stimulation of hair growth noticeable in as early as 4 months. Some evennotice the result earlier while some may take more time. If your hair loss is due to genetic makeup, DHT or Dihydrotestosterone is a hormone or enzyme that negatively affects the hair follicles of those with hereditary hair loss, starting at puberty stage. 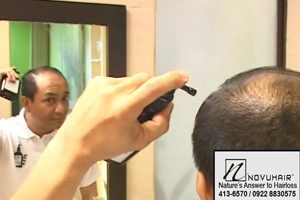 The DHT causes the hair follicles to shrink or miniaturize and eventually produce thinner hair. with that said,it would not work on most people because the most common cause of hair thinning that eventually led to baldness is genetics.is there a possibility or cases of novuhair treatments of androgenetic alopecia? Hello jun 🙂 Thanks for the inquiry. People who suffers from androgenetic alopecia may use Novuhair, NOVUHAIR® is effective in treating hair loss. NOVUHAIR® is a Topical Scalp Lotion combining highly potent standardized herbs with essential oils and co-factor nutrients, especially chosen for their hair growing properties. NOVUHAIR® penetrates to rejuvenate the hair follicles, provides optimum nutrition to help combat hair loss and/or thinning of hair, improves blood circulation to the scalp and thus contributes to the stimulation of hair growth. Will it be safe to use Novuhair to a hair that is rebonded? hello Marie 🙂 As a rule of thumb, any person with chemically treated hair or has undergone any salon treatment may use NOVUHAIR® but must observe a resting period of 2-4 weeks if the salon chemical treatment used will produce any allergies or hypersensitivities. This is recommended in order to easily identify with certainty the real cause of the adverse reaction/s and not put the blame on NOVUHAIR®. All the active ingredients of NOVUHAIR® are natural and safe. However, we can’t vouch for the safety profile of salon treatments. While on NOVUHAIR® treatment, the person needs to refrain using any hair products with high concentrations of chemicals for this may defeat the purpose. Should the person opt to have another salon treatment while on NOVUHAIR® treatment, the person should stop using the NOVUHAIR® Topical Scalp Lotion. For more information, you may visit our official website at http://www.novuhair.com. You may also visit our Facebook Fan Page at http://www.facebook.com/pages/Novuhair-fficial/190833864316445?ref=hl or follow us on twitter @NovuhairUpdates. You may also contact our hotlines from 8:30AM-5:30PM from Monday-Friday at 413.6570 and 0922.883.0575. Have a happy weekend. I’ve been using Novuhair 2 weeks now and still experiencing hair strands on my pillow 25 hair strands even seeing strands when taking a bath. consistent use of Novuhair twice a day, in 4-6 weeks the results showed the non-progression of hairloss, prevention of excessive hair shedding and stimulation of hair growth noticeable in as early as 4 months. Some even notice the result earlier while some may take more time. hi! im sam. i used to have a very thick and volume hair. as a teen ager, i love using wax and spray nets. now i noticed that im experiencing a massive hairfall with dandruff. i once ignored it but lately its just like half of my hair was gone. then it came to my mind that my father gets bald as well when he was young. now im using your topical lotion for 2weeks. since this product does not have direct effect on DHT, can i still regain my hair back? Hello Sam 🙂 Thanks for the inquiry. DHT or Dihydrotestosterone is a hormone or enzyme that negatively affects the hair follicles of those with hereditary hair loss, starting at puberty stage. The DHT causes the hair follicles to shrink or miniaturize and eventually produce thinner hair. NOVUHAIR® does not have any direct effect on DHT but may help continuously nourish the hair follicles thus prevent further thinning. I been using Novohair 2N1 for 6months already and im happy to see the tiny hair that grows..I just to ask kc po gusto ko mgparebond ng aking buhok, ok lng po ba kng mgparebond ako gayong gumagamit ako ng Novuhair and if ever po pwd pa rin ba ako gumamit ng Novuhair after ko mgparebond? Hello Enajyram 🙂 Thank you for your feedback. We recommend that you continue the treatment to maintain the newly grown hair and avoid harsh chemicals from hair products that can irritate or harm these new hair. Otherwise, if you really need to avail this salon treatment, as a rule of thumb, any person with chemically treated hair or has undergone any salon treatment may use NOVUHAIR but must observe a resting period of 4 weeks if the salon chemical treatment used will produce any allergies or hypersensitivities. This is recommended in order to easily identify with certainty the real cause of the adverse reaction/s and not put the blame on NOVUHAIR. All the active ingredients of NOVUHAIR are natural and safe. However, we can’t vouch for the safety profile of salon treatments. While on NOVUHAIR treatment, the person needs to refrain using any hair products with high concentrations of chemicals for this may defeat the purpose. Should the person opt to have another salon treatment while on NOVUHAIR treatment, the person should stop using the NOVUHAIR Topical Scalp Lotion. For more information, you may visit our official website at http://www.novuhair.com. You may also visit our Facebook Fan Page at http://www.facebook.com/pages/Novuhair-Official/190833864316445?ref=hl or follow us on twitter @NovuhairUpdates. You may also contact our hotlines from 8:30AM-5:30PM from Monday-Friday at 413.6570 and 0922.883.0575. Happy weekend. saan po ung location nyo para dun sa hair and scalp analysis? I tanks..
Hello Pepe 🙂 Thanks for the inquiry. Kindly visit our website http://www.novuhair.com and check the NEWS & EVENTS section for our free hair and scalp analysis schedules. Standard time is from 1pm to 5pm. Nasa Korea po husband ko. Gusto po nya gumamit ng Novuhair. 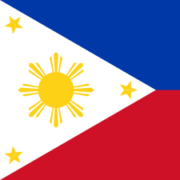 San po pwede bumili dun or kailangan lng ipadala pa sa kanya from here? Thnx! Hello Joan 🙂 Thanks for the inquiry. We are currently working on exporting the product. However, NOVUHAIR® can also be purchased online through our service partner: http://www.regaloservice.com. 6. A quotation or estimate on the shipping cost included in the payment will be provided to you. Payment can be done through PayPal or credit cards. Delivery to Korea normally takes about 5-7 working days. So i would just like to ask about this Novuhair product my friend has been telling me to use. I grow long hair but it’s really thin maybe because of genes but i wanted my hair to have more volume. I want it to be thick especially the back part of my head. Some of my friends have been telling me that i’m about to have poknat konti nalang daw. And then they told me to use Novuhair. Can novu hair cover up my “almost bald spot”? achieve this, more so that the progress is not visible to the eyes. may still deliver the necessary remedies that your hair and scalp needs. can I ask if how much is the price of Novuhair? also here in Middle East available this one? Hello Cherienel 🙂 Thanks for the inquiry. 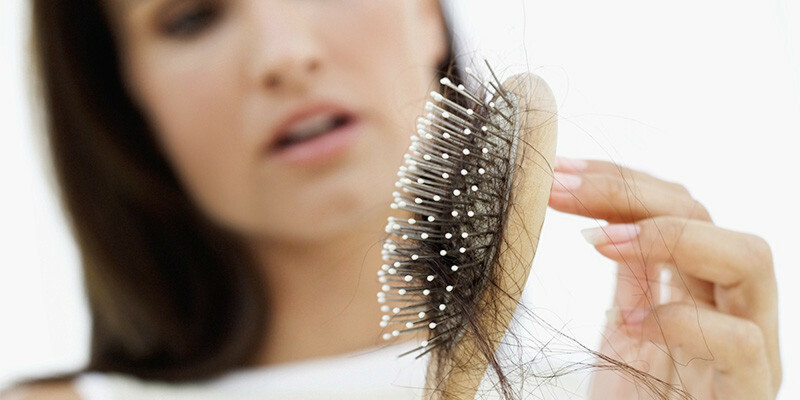 It is very common for women to experience excessive hair loss after giving birth thus hair thinning becomes noticeable. If you’re finished breastfeeding, then you can start using Novuhair. We don’t recommend that you use Novuhair while breastfeeding. We don’t have any clinical trial to support it’s safety while breastfeeding, just like other cosmetics. Sa same case po ba ni Pnoy kayang maibalik ang hair loss? thank you. Hello John 🙂 Thanks for the inquiry. NOVUHAIR® Topical Scalp Lotion is highly recommended for both men and women, 12 years old and above who experience excessive hair loss, thinning and bald patches. NOVUHAIR® Topical Scalp Lotion aids those who want to regain hair luster and vibrancy and stimulate new hair growth. Gaano po katgal magagamit isang bottle ng novuhair? At mga ilang weeks o months po makikita result? Hello Alex 🙂 Thanks for the inquiry. Novuhair Topical Scalp Lotion is good for 2-3 months use. With consistent twice a day use, coupled with good personal hygiene and a conscious effort to embrace wellness, in 4 months, you can look forward to the benefits of the NOVUHAIR® Topical Scalp Lotion in preventing excessive hair loss, retard hair thinning, promote hair growth and improve the overall cosmetic properties of your hair. The result may vary from one person to another depending on your amount of commitment, frequency of usage and how much you embrace wellness as a lifestyle. Hello po. May nabili po ako na novuhair lotion sa watson ilang bottles po kasi malayo po lugar namin sa city. Since ako lang ang gumamit may natira pa akong isang bottle na kunti pa lang nakuha, pero ng tiningnan ko yung expiry date hanggang april lang this year mag expire na. Pwede pa rin bang gamitin kahit expire na? may epekto pa rin ba? Hello Marivic 🙂 Thanks for the inquiry. As a matter of precaution, we do not advice for you to use expired Novuhair Products. Hi po im melchor trinidad 41 years old ask ko lng kung gagamit ba ako ng novuhair mapipigilan ba ang paglagas ng buhok thank you..
Hello Melchor 🙂 Thanks for the inquiry. Novuhair Topical Scalp Lotion addresses Hair Loss, Hair Fall, Hair Thinning and Dandruff problem. NOVUHAIR® is effective in treating hair loss. NOVUHAIR® is a Topical Scalp Lotion combining highly potent standardized herbs with essential oils and co-factor nutrients, especially chosen for their hair growing properties. NOVUHAIR® penetrates to rejuvenate the hair follicles, provides optimum nutrition to help combat hair loss and/or thinning of hair, improves blood circulation to the scalp and thus contributes to the stimulation of hair growth. Hello Marvin 🙂 Thanks for the inquiry. You will use Novuhair Topical Scalp Lotion everyday twice a day morning and evening after taking a shower. Hello Jac 🙂 Thanks for the inquiry. If I stop using novuhair is there any side effect? Other hair treatment pag nag stop lalo nalalaglag ang buhok. Hello Bee 🙂 Thanks for the inquiry. Novuhair is clinically proven safe and effective to use. After achieving your desired results, you may pause for two (2) months then start another treatment should the noticeable warning signs occur. If your case is hereditary, once you have achieved the results, you may apply the lotion once a day for maintenance.